My father’s a big fan of chickens. Once upon a time, my family and I lived on a farm. We adopted horses, goats, the fattest pig I’d ever seen in my life, and raised rabbits, ducks, and, most prominently, chickens. Life was a dream. Unfortunately, as with all things, it didn’t last. We were forced to move into the city, losing all of our animals in the process. However, this move proved only a minor setback for my father. It wasn’t long before we had multiple chicken coops filled in our relatively small backyard. Now, it’s as if we never left the farm. That is until the chicks grow up, and one begins to perch higher than the others to practice his crowing. Local ordinance allows raising chickens in urban settings, as long as they don’t cause a disturbance; also known as no roosters. It’s always a shame to sell one of our hand-raised chickens, but it’s better to lose one than losing them all. But, that raises the question: why do roosters crow? Roosters crow to establish dominance over their dominion. Crowing is also a warning call to other roosters, threatening them with violence if they dare trespass. To increase the awareness of their presence, roosters often seek out a high vantage point in their territory. This also allows their calls to travel farther. 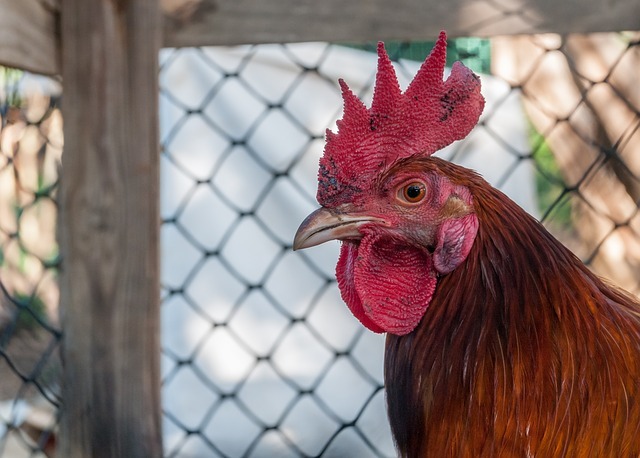 Just like humans, roosters experience circadian rhythms. These cycles of activity occur daily and follow the cycle of day and night. Circadian rhythms help roosters anticipate sunrise to allow them a head start on hunting for food, and defending their territory. Although roosters do not follow the same circadian rhythms, an early-crowing rooster can goad neighbouring roosters into crowing early, as well.